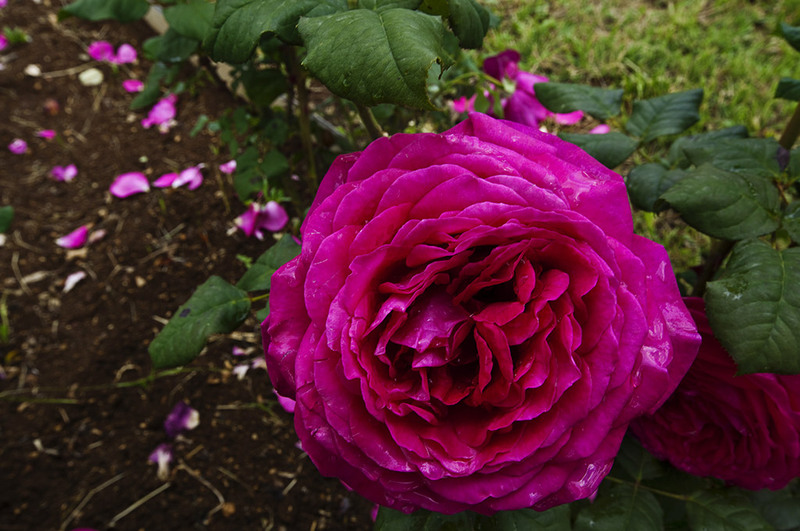 The Vacunae Rosae Rose Garden is unique in terms of the variety and rarity of its roses. 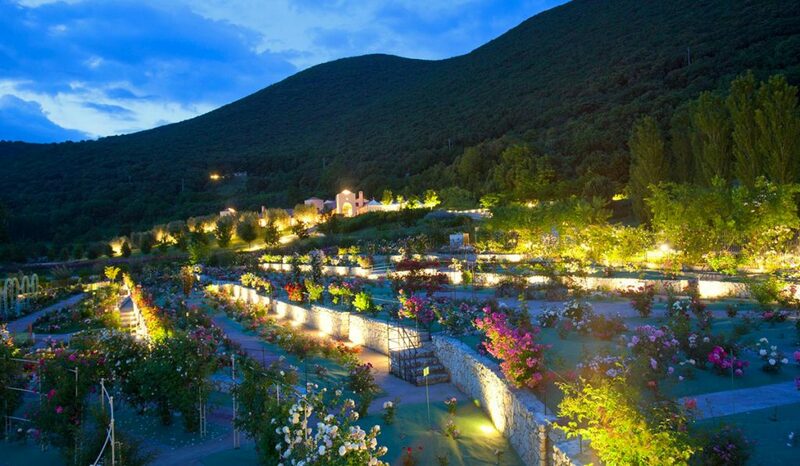 The Garden is dedicated to the Goddess Vacuna, “silent, incorruptible but intelligible”. 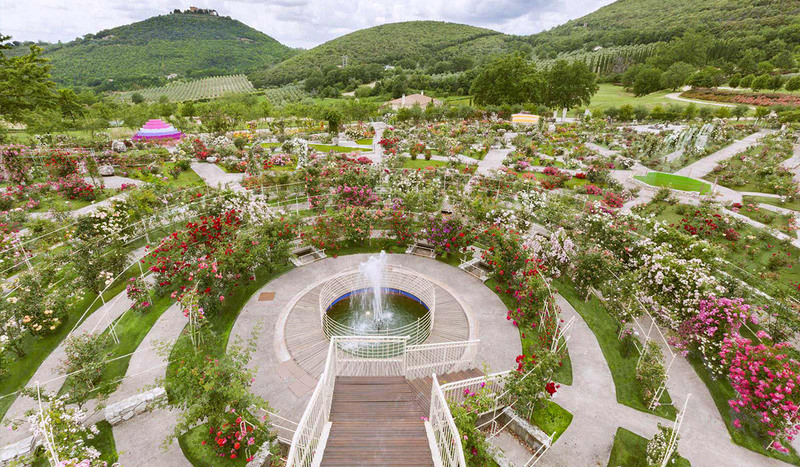 Inside the Vacunae Rosae you can enjoy and appreciate roses originating from all over the world together with centuries-old varieties and new generation hybrids.The Rose Garden takes you on a historical, cultural and artistic journey into the world of the rose. The Rose Garden is situated within 130 hectares of unspoilt woodland at the foot of the historic village of Roccantica and covers 18,000sq meters. The Rose Garden comprises 130 sectors and pathways organised on a thematic basis. 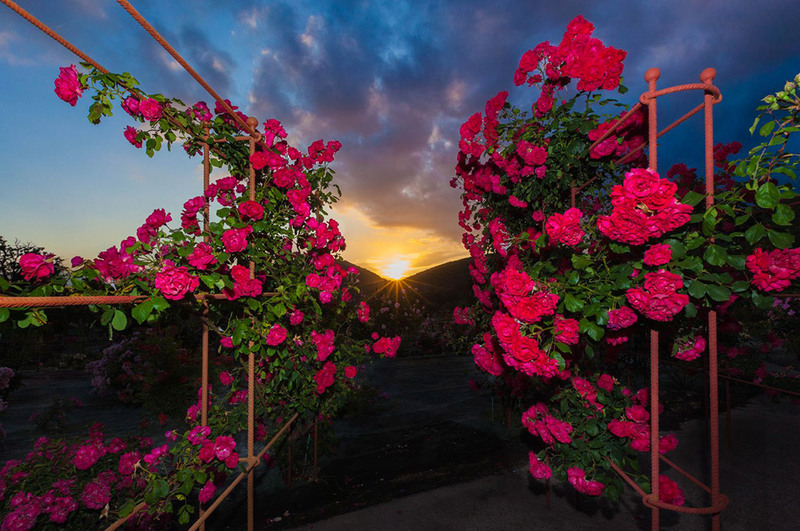 Each sector displays a group of homogenous roses in terms of botanical development, history, colour and perfume. The layout of the Garden forms the shape of an angel’s wing and around 7,000 rose bushes with over 5,500 different varieties can be grown there. Climbing roses decorate the entire perimeter and gates of the Garden. All around the perimeter, a ring of sacred trees that are favourable to roses have been planted: tamarisk, pomegranate and almond trees. Nine fountains with twenty-eight submerged pumps form an interplay of light and colour in celebration of their specific allegory and symbology. The stone garden takes its inspiration from the Far East. The visitor is welcomed and initiated so as to undergo a journey through the beauty and perfection of the rose. The Rose Garden can be visited by booking a guided tour. The best time to visit the garden is from May – June or in October when there is a second flowering. On request, the Garden can also be booked for photoshoots for weddings and other important celebrations. Enjoy our Rose Garden! Book now your visit!